Our exciting milking heifers. Global contracted. Ballycairn Niagra Agelle VG-85-UK 2yr. Ballycairn Active Romina GP-82-UK 2yr. Ballycairn Boliver Georgia VG-85-UK 2yr. Ballycairn J Agella VG-86-UK 2yr. Ballycairn Jardin Horizon VG-85-UK 3yr. Same family as Leadman, Lord Lily, Canvas, Mascol & more! Ballycairn Legend Lillian GP-83-UK 2yr. Ballycairn Maestro Lizette VG-85-UK 2yr. Ballycairn Maestro Pietje GP-80-UK 2yr. Ballycairn Planet Belle GP-82-UK 2yr. Ballycairn Planet Martha VG-87-UK 2yr. 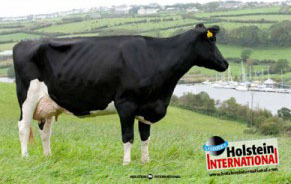 Ballycairn Planet Tinnie VG-86-UK 2yr. Same family as Ballycairn Tiergan! WELCOME TO BALLYCAIRN HOLSTEINS My Father started milk production in 1973 on our present farm using the highest production sires available, with functional type. However in 1999 the herd was depopulated due to brucellosis. When restocking our farm heifers from Holland, Italy, Germany, Denmark, Canada, UK and Ireland were purchased. Today we are now milking over 300 cows, still keeping to the original breeding plans. High yielding cows with good type so that they go back incalf easily giving no trouble. We make as much use of our grass as possible, so our cows graze during the summer and we feed grass silage in winter. Herd avg. 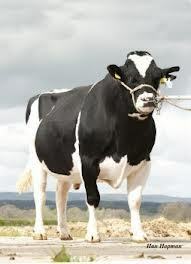 305d 9145kg 4.02% 3.20% We do hope that you enjoy reading our Web pages where you will see that we have pedigrees from the best international cows families: Southland Dellia, Walkup Bell Lou Etta, Eastland Golden, Pietje, Holim Heidi, Cheif Mark Ina, Neu-Way Partron Allie. 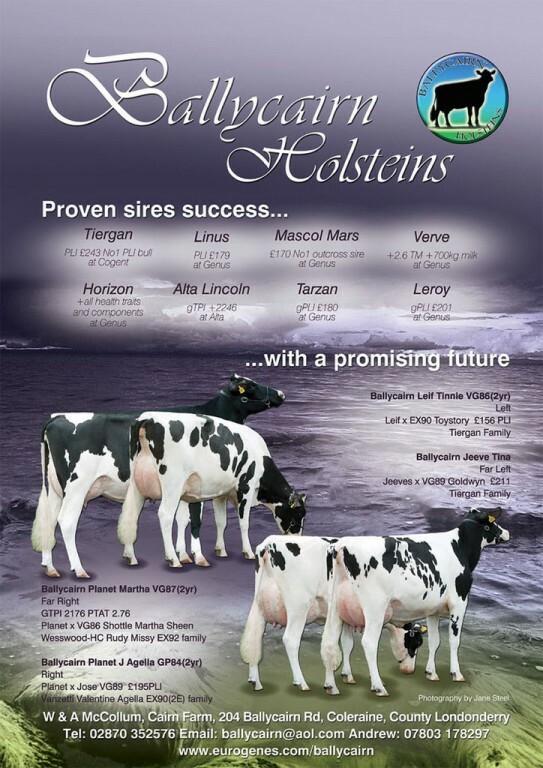 Ballycairn Holsteins always welcomes inquiries for females, bulls and embryos.